Jama Masjid, Rajghat, India Gate, Qutub Minar in Delhi. Taj Mahal, Agra Fort and Itimad-Ud-Daulah in Agra. Jal Mahal, City Palace, Jantar Mantar and Hawa Mahal in Jaipur. Rajasthan is the land of kings and forts. With its cultural diversity Rajasthan represents the sculptural and architectural expertise and aesthetic tastes and represents the tales of valor and courage of its various rulers. A place’s monuments reflect the history of the place. 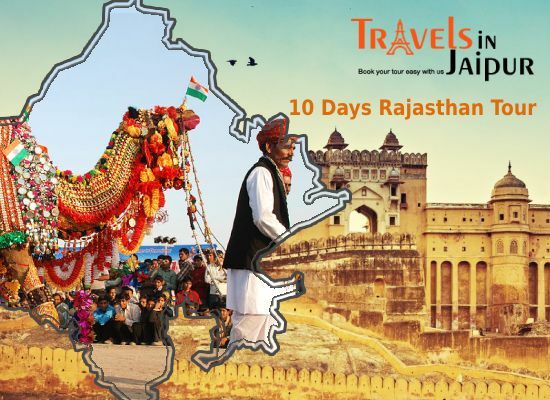 Rajasthan is known for its Rajputana kingdoms and for the muscular and aesthetically stimulating forts and palaces. Agra is the centerpiece of Mughal arts. After early breakfast, start from Old Delhi. Visit places like Mosque Jama Masjid and Chandini Chowk. After Old Delhi Visit Rajghat , memorial of Mahatma Gandhi. Later in the day, visit famous UNESCO’S world heritage sites Qutub Minar and Humayun’s Tomb. In evening visit Cannaught place and karol bagh. Overnight stay at Delhi. Light Breakfast. Drive to Agra through Taj Expressway. After reaching, check in a hotel. After Rest start with Agra sightseeing. 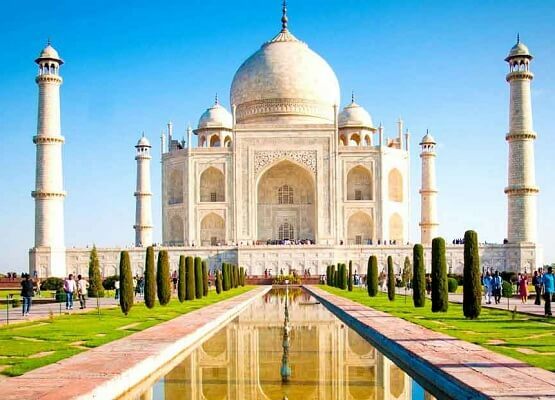 Visit one of the seven wonders of the world Taj Mahal then Agra fort another World Heritage site and Itimad Ud Daulah Tomb in the end. after breakfast start for Pink city Jaipur, En route visit FatehpurSikri one of the best preserved examples of Mughal Architecture of India. Continue drive to Jaipur. Check in to hotel. Relax, Overnight at Jaipur. Enjoy Delicious breakfast at hotel, Get ready for Jaipur city tour which is replete with historical landmarks that echo its and living traditions. Visit famous Amber Fort, Overlooks Maota Lake and offers mesmerizing view of Amer town. While coming back to city drive past Jal Mahal.One should not miss the Famous landmark known as city palace located in the centre of the old City. Near City palace the famous Govind Dev ji Temple is also situated after visiting here the next destination should be Jantar Mantar, features the world’s largest stone sundial. At last outside visit of Hawa Mahal( Palace of winds) located at hustle bustle of Jaipur city. Evening time for some local markets. Drop to hotel, Overnight at Jaipur. After breakfast drive to Jodhpur also known as blue city because of the blue colorhouses in the old city area. After arriving check in to hotel, Overnight at Jodhpur. Start Jodhpur Sightseeing, Visit Famous Mehrangarh Fort;later visit to Jaswantthada a milky-white marble memorial to Maharaja Jaswantsingh II. After this Mandore gardens famous for its Temples, Cenotaphs and gardens should be covered. Evening free time to explore Clock tower market. Drop to hotel, Overnight at Jodhpur. After having thebreakfast proceed for Jeep safari Bishnoi Village. Bishnoi Village Safari is an organization started by Raja and Maharajas to show the rich cultural life to Indians and Foreigners Visitors. After this visit GudaBishnoi Lake a perfect picnic spot. Later leave for Udaipur, On arrive check in to hotel, Overnight stay at Udaipur. After having breakfast proceed for sightseeing of Udaipur starting with Palace complex – prominent landmark of Udaipur. After that visit famous pilgrimage site Jagdish Temple this should be followed by Shalieonki Bari a beautiful garden. Evening enjoy boat ride at City palace and visit the famous Jag Mandir. Later back to hotel, Overnight at Udaipur. Breakfast at Hotel, Later drop you at Udaipur airport to board on flight to Delhi. On arrive Delhi check in to hotel. Rest of the day relax. Overnight at Delhi.